Throughout the week I like to spark-up the class with a good poem reading and discussion. 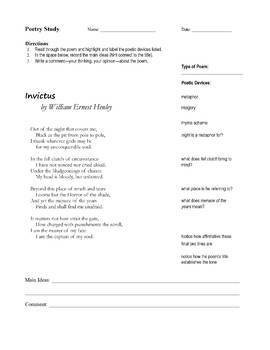 Here is the classic poem about feeling victorious and unconquerable by William Ernest Henley. provides practice in close reading of dense texts, looking for depth of meaning and theme.